Isn't it weird / cool the way just about every animal has a special name for their babies? 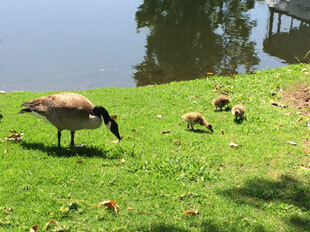 Okay, ducklings makes sense for baby ducks, but goslings for geese? And cygnets for swans? 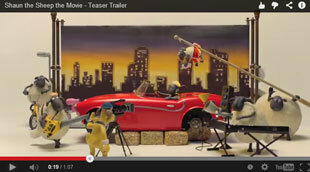 Big news: Aardman are making a Shaun the Sheep movie! Yay. I don't have to say anything about the Donald Sterling situation, because Kareem Abdul-Jabbar has said it all for me. Redesigning the Windows Logo, from Feb 2012. That anyone thought this was an improvement tells you all you need to know about Windows 8. It was already possible to see then that Win 8 would have problems. 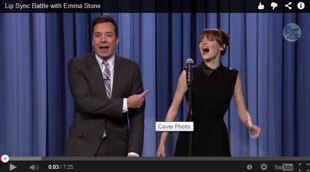 Pretty awesome: Jimmy Fallon and Emma Stone square off in a lip sync battle. The songs they each choose were perfect. 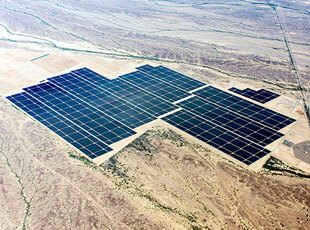 World's largest solar power plant opens in Arizona. 2,400 acres! No, that didn't harm the environment at all.